This banana cake with toffee and chocolate ganache has the natural sweetness of banana layered with toffee crunch and a rich chocolate ganache resulting in divine deliciousness! Anjeer Toffee cater to every segment of the market, especially children, with their innovative products, attractive packaging and competitive pricing. 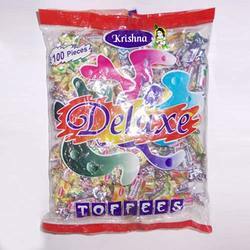 Toffee shaped packs containing yummy flavored assorted chocolates. Rich Belgian milk chocolate, Danish toffee, icy cold milk and ice blended till smooth, served in a tall glass. 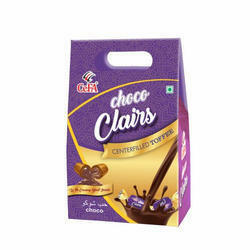 We are indulged in offering the finest quality Milk Chocolate Toffee. We are renowned and trusted enterprises in the industry, offering a best quality array of Eclairs Gold Toffee to our esteemed customers at very affordable rates. With immense market knowledge, we have been able to provide optimum quality Coffee Toffee Chocolate.